ARE YOU LOOKING FOR A UNIQUE INTERNSHIP OPPORTUNITY? Join our ‘ohana of interns! In 2010, the Wahi Kupuna Internship Program was officially launched by Kelley L. Uyeoka and Kekuewa Kikiloi with the support and funding from Kamehameha Schools. 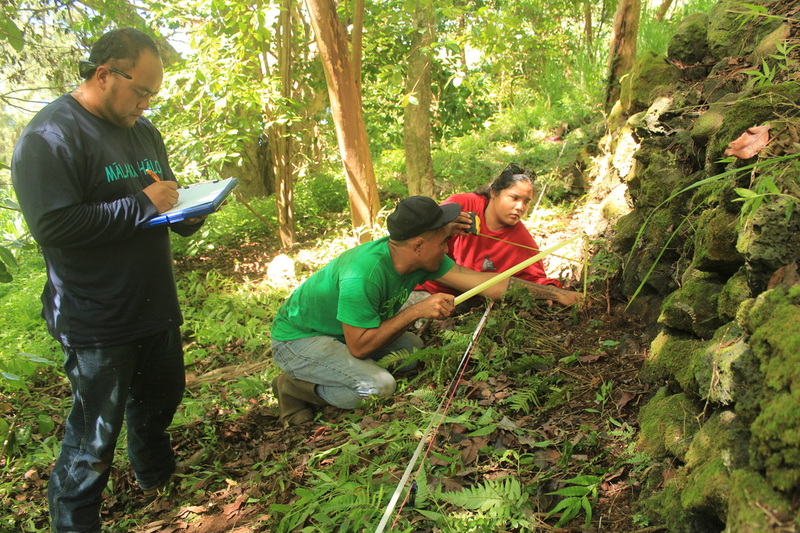 The internship program is open to all undergraduate students that are enrolled in any of the University of Hawai‘i campuses or UH Community Colleges, who are enrolled in Anthropology, Archaeology, Hawaiian Studies or a related field. During the program interns will engage in community based ethnohistorical research and cultural resource management projects. 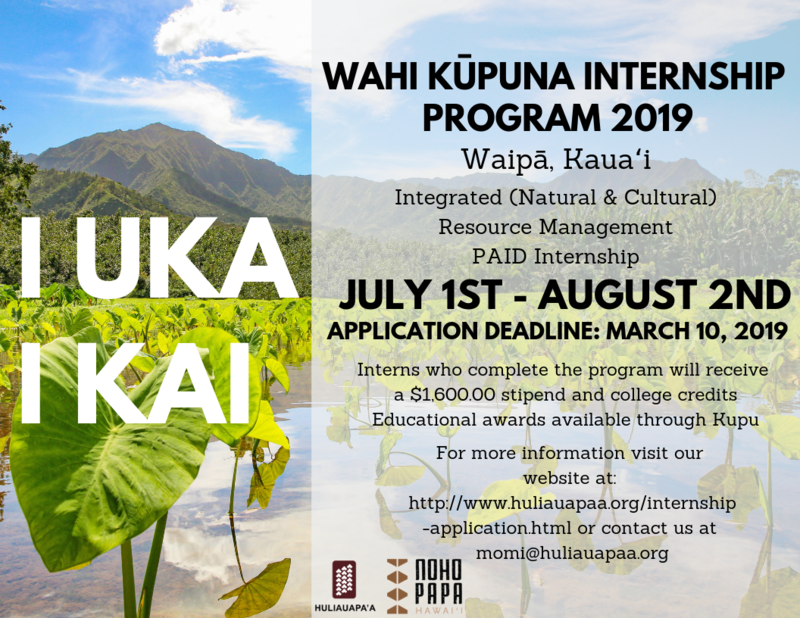 2019 Wahi Kupuna Internship Program is now open! The primary goal of the Wahi Kupuna Internship Program is to increase the number of Hawaiians and Kama‘āina in the field of cultural resource management through scientific and Hawaiian cultural mentoring, professional development, education, and applied field experiences. The program also focuses on conducting relevant research both on and off Kamehameha Schools legacy lands. Undergraduate students currently enrolled in any of the Community Colleges or University's in Hawai'i are eligible to apply. Preference will be gives to students in the fields of Hawaiian Studies, Anthropology/Archaeology, Geography, or related resource management fields. Preference will also be given to students with ties and commitments to live and work in Hawai'i. The application process is used to inform the WKIP Selection Committee about your background, interest and skills. Upon review of your completed application and supplemental materials, you will be notified of your application status. If you are selected as a semi-finalist, a personal interview will be conducted by the WKIP Selection Committee. What are your academic and career interest/goals and how will participation in this program help you achieve those goals? What motivates you to work on cultural resource efforts in Hawai‘i? What do you feel is the biggest threat to Hawai‘i's cultural resources and how would you try to solve this problem? Explain why you feel you are particularly qualified for this program? Notes: Please limit your essay to two pages double spaced. Two letters of recommendation (1 academic and 1 professional). Please use the Recommendation Form template.